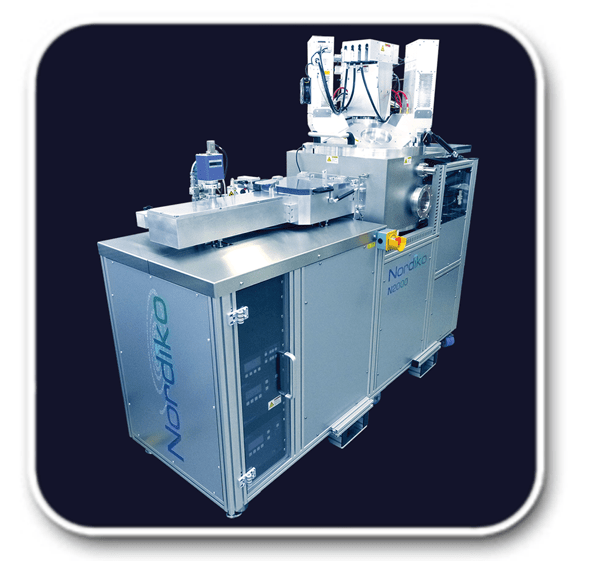 The N2000 is a compact sputtering system with four 150 mm electrodes mounted in a confocal configuration. The electrodes sputter material onto a central rotating worktable. Designed to coat substrates up to 200 mm diameter the system combines great flexibility with substantial capability. The system may be fitted with a linear single wafer/platen vacuum load lock. Or for more demanding throughput with a compact four wafer or 25 wafer cassette load lock. In-situ substrate plane magnetic field projection.